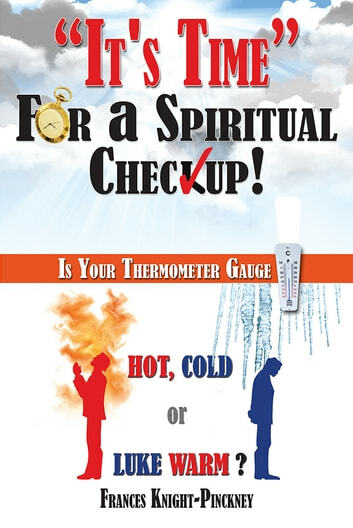 Is Your Thermometer Gauge Hot, Cold or Luke Warm? In her debut novel, Minister Frances Knight-Pinckney will show you successful ways to live as a Christian without conforming to the world. As Christians today, we are faced with many challenges, yet we are expected to live a certain lifestyle. 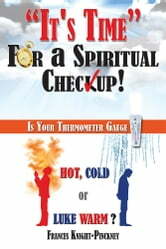 Just as our physical body requires a checkup from our doctors, our spiritual body requires a checkup from God. By reading this book, you will discover what sets you apart from this world and why a spiritual checkup is vital on this Christian journey. In return, you will either begin or continue to live a life that is indeed pleasing to God!"